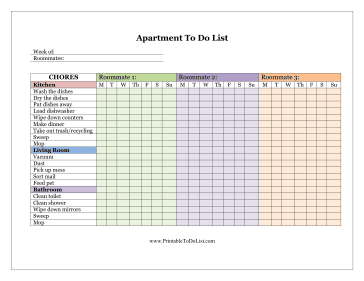 This free, printable apartment to do list is helpfully color-coded for the chore checklist of three separate roommates. It can help occupants divvy up cleaning tasks. There are places to fill in the date and names. Chores are provided for the kitchen, living room and bathroom.